What are the different types of spotlights? Should I look for halogen or LED? Can I switch to an LED light bulb in my halogen spotlight? 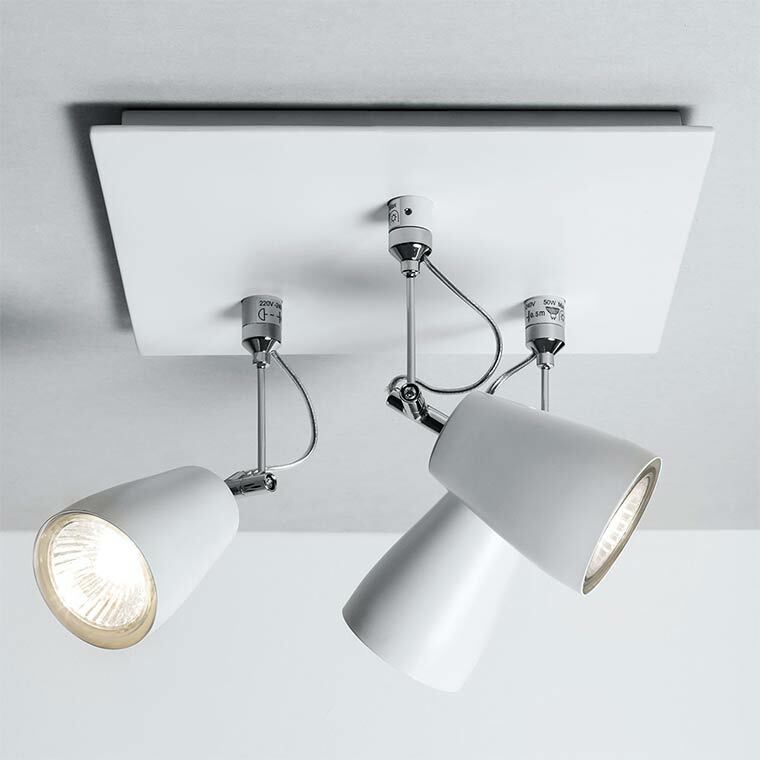 Which is better with recessed spotlights – high voltage or low voltage? Can I put spotlights in the bathroom? 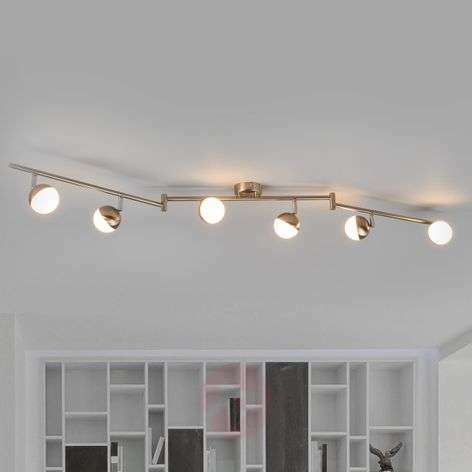 Lights that make all the difference to a feature, area or art in a room. Add a spotlight or two to your room to highlight an area, feature or piece of art or to illuminate a difficult areas such as a staircase. Or, on the other hand, use spotlights to draw attention away from a particular area by lighting up somewhere else. 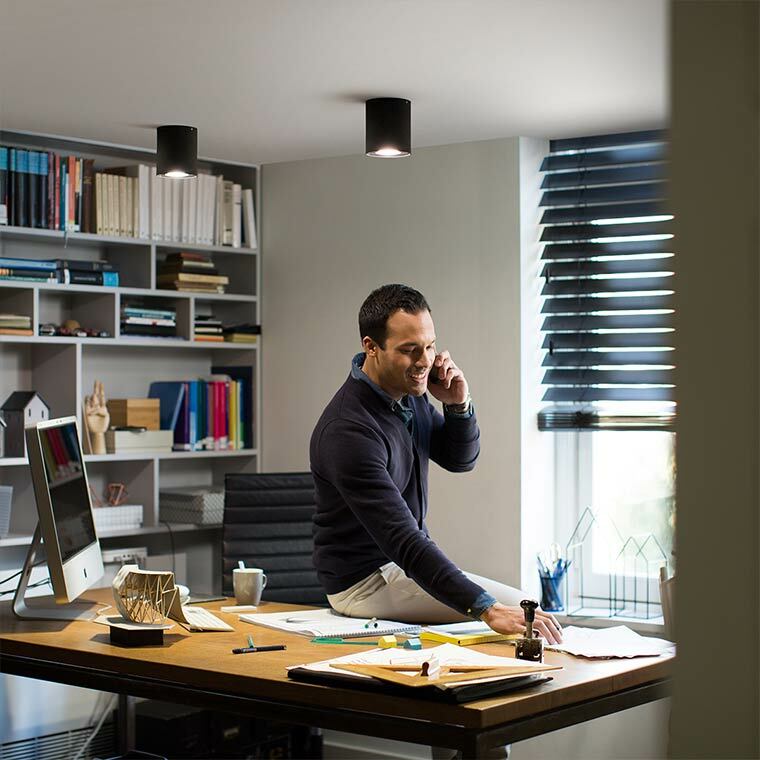 We’ve got dozens of different spotlights for you to choose from in all sorts of styles, finishes and configurations, from single fixed spotlights to multiple head ones that can be adjusted in any position. Got a question about spotlights? You’ll find all the answers to our most-commonly-asked ones right here. If you don’t find the answer you’re looking for, then simply contact one of our advisors and we’ll give you all the help you need. There is no real advantage to either although we recommend low voltage in areas that can get damp, such as showers, etc (see our bathroom answer below). High voltage spotlights use 220 – 240 volts and do not need any other accessories/equipment in order to work. Low voltage spotlights only work with low voltage and need a transformer to reduce the mains power down to 12 volts. If in doubt, ask one of our advisors. 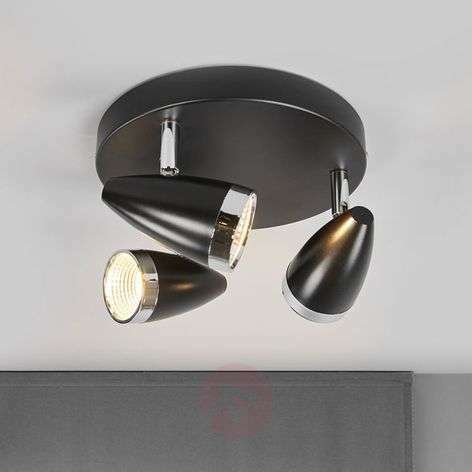 Our spotlights come in a huge variety of styles, colours and materials. Have a look through our choices in the search fields above if you don’t believe us. 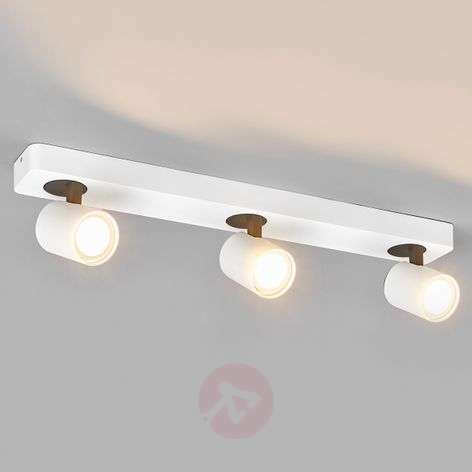 You can choose by colour, room type, style, price, material, base type, ingress protection (IP) code, dimensions, technology, number of bulbs and even wattage. Most are but, to be sure, check the technical specifications for the bulb. It should say “Dimmable: Yes”. However, if you find a spotlight you love on our site that isn’t specified as dimmable you might be able to change the bulb to a dimmable one instead. Ask one of our advisors and always use a qualified electrician if you’re not confident in installing a dimmer switch yourself. 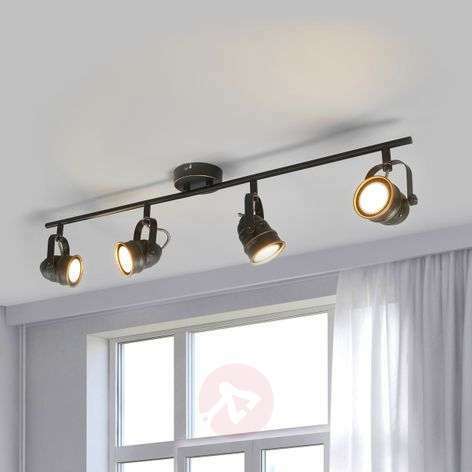 Do these spotlights come with built-in light bulbs? Our LED ones usually do but always check the specifications page for the spotlight you’re interested in. If a base type is given it means the bulb is not built in. Yes you can, but as electricity and water don’t mix well, at all, you have to be careful. All of our spotlights are rated according to their ingress protection (IP). This is a code that shows the fitting’s protection against the elements. It’s a two-digit number - the first one represents protection from solid objects on a scale of 0 – 6 while the second represents protection from liquids on a scale of 0 – 8. Zone 1 is in the shower itself and your spotlight must be rated above IP4 to go in here. 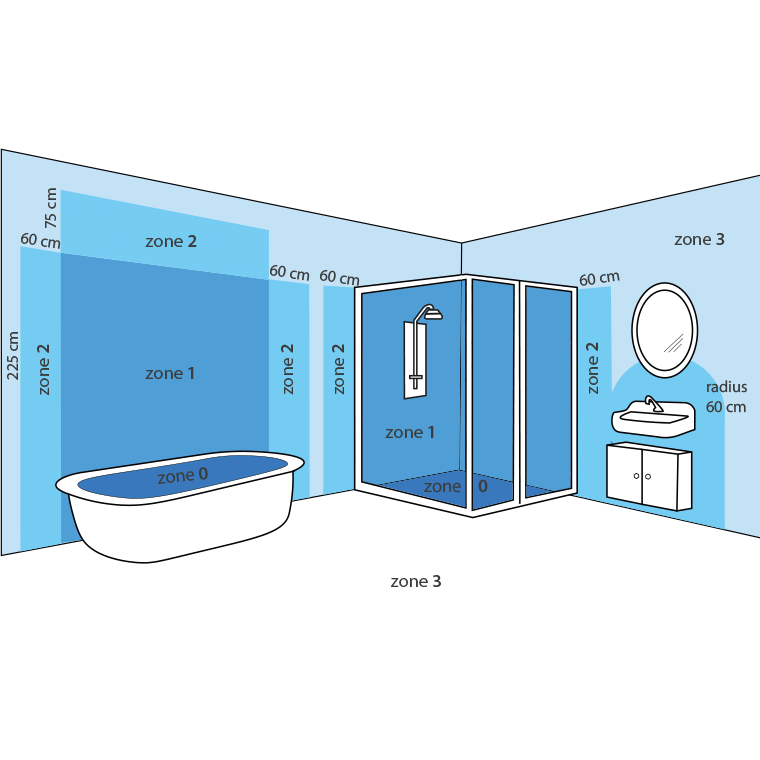 Zone 2 is around the shower and above the sink where it might get splashed by water and spotlights here must have an IP rating of 4 or more too. Zone 3 covers the rest of the bathroom and you need a light with an IP2 or greater rating. We always recommend LED lamps because they use much less power and last a lot longer than halogen bulbs. Also, halogen has only one luminous colour (colour temperature) and that is warm white. In comparison, LED has a range of different lighting colours – from daylight to extra warm white. Yes you can – LED bulbs come with all sorts of base sizes and fittings and there’s bound to be one that will fit your lamp. All of our spotlights comply with European norm DIN-EN-60598-1. For full details please get in touch with customer services.